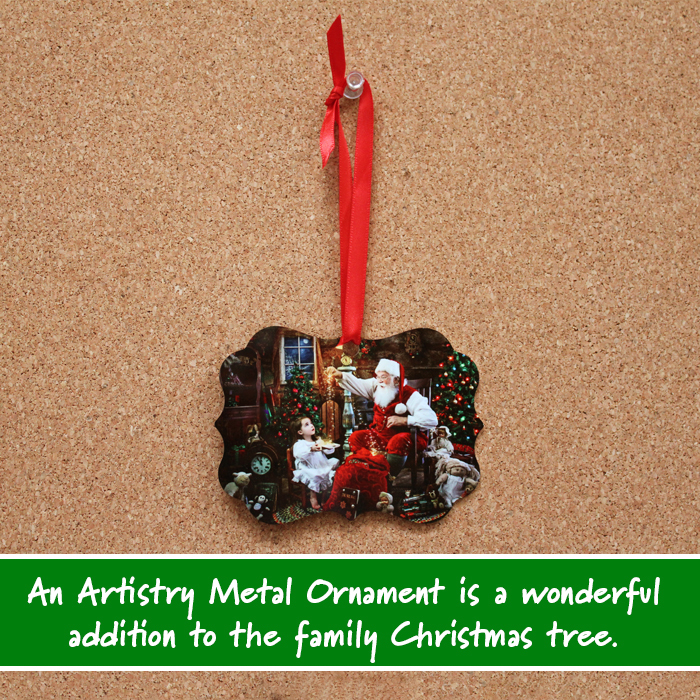 Feel the magic of Christmas at ACI! American Color Imaging is excited to be an exclusive design and printing partner for Larry Hersberger’s Art of Magic and Light®! 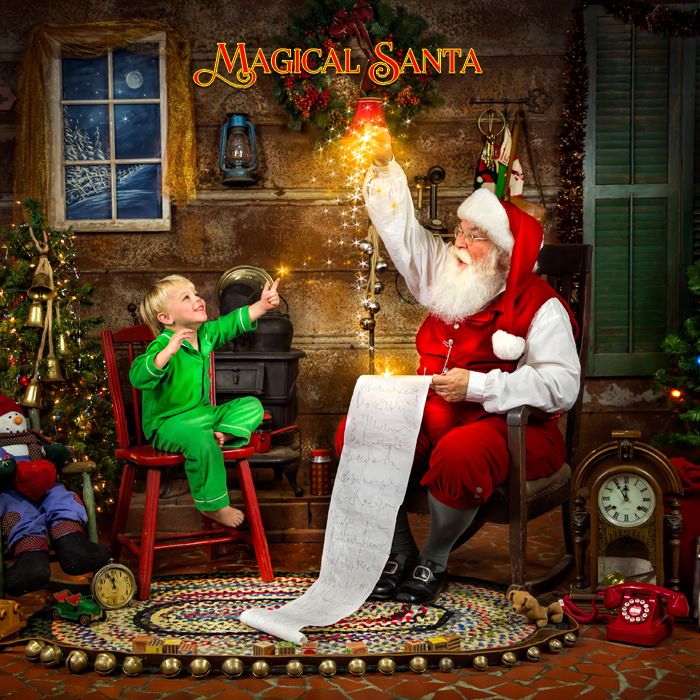 You can have the magic added to your images giving them a beautiful and nostalgic element of fairytale storytelling while the ambiance will provide a finishing magical glow according to Larry Hersberger’s approved method. The design upload fee of $100 for the album also includes color correction, the gallery upload to EventProofs.com, the album design with one of Larry’s Art of Magic and Light® stories, and one round of free revisions. Subsequent revisions will be charged at $15 each. Additional magic to be added will be billed at our standard price of $60 per hour. The high-resolution magic files will be available for download after the $200 minimum purchase of Art of Magic and Light® services and product at ACI is met. For magical artwork on images only, there will be a $10 per image charge, which includes recommended magic artwork, color correction, and gallery upload. The high-resolution magic files will be available for download after the $200 minimum purchase of Art of Magic and Light® services and product at ACI is met. The better the structure of your image before submitting the request, the better the final finished product will be. 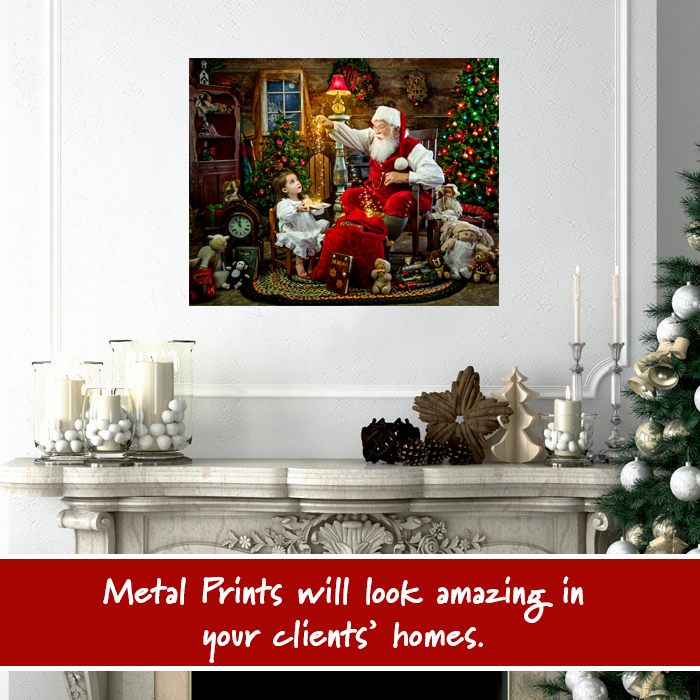 The images will be placed in a special Santa section of our Design Studio and EventProofs software tailored in product and process to Larry Hersberger’s specifications. After $100 in additional product has been ordered, the high-res magic-filled .JPG files will be available for download. What products are available to order through this service? • 30 different photographic print sizes with Lustre Coating, Dry Mount, or Sintra Mounting on select sizes. Choose from 3 different stories for your Riveli album. 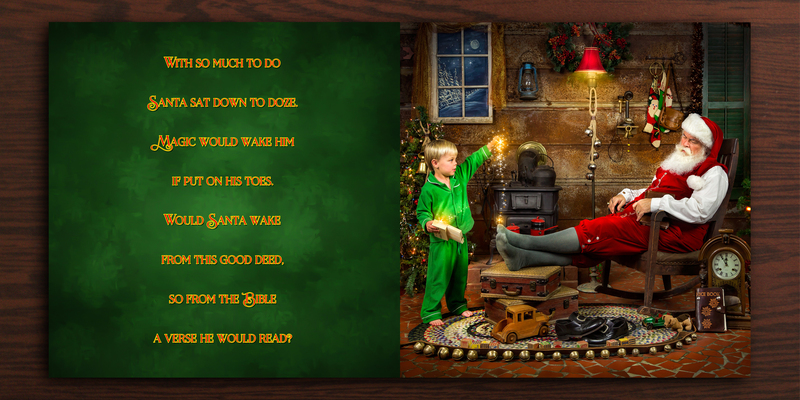 This nostalgic, family oriented “mini” book features poetry describing a whimsical and magical story of your child’s dream of visiting Santa on the night before Christmas. 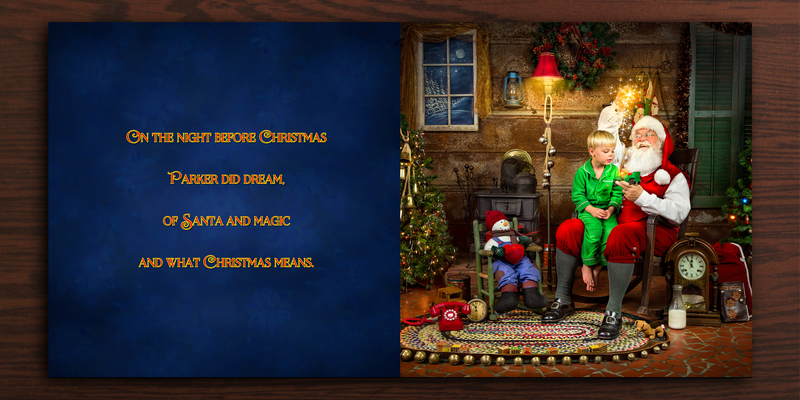 Click here to preview the “Magical Santa” story. 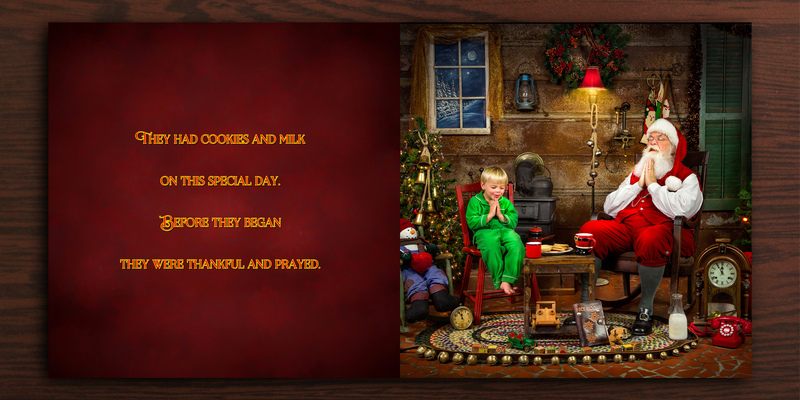 This nostalgic, family oriented book features a poetic and whimsical story of your child’s dream on the night before Christmas. 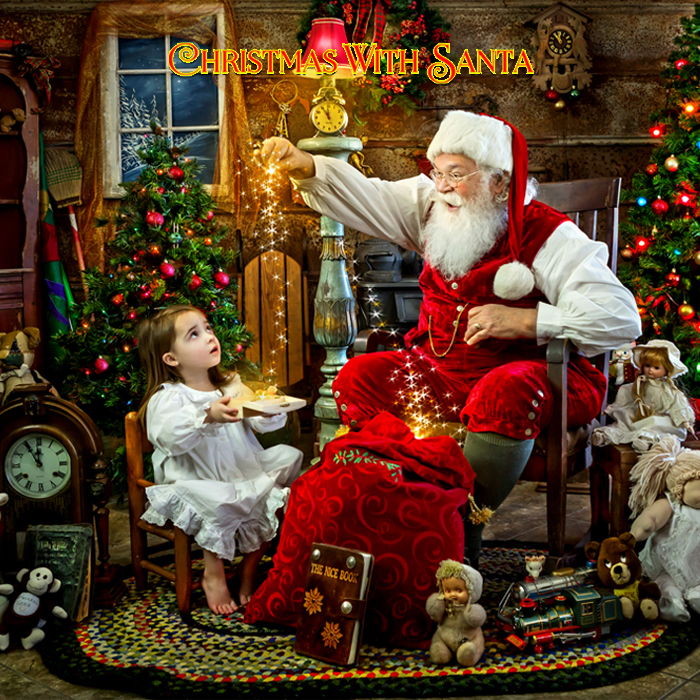 Your child dreams of visiting Santa at the North Pole. A fun, magical, and Christian theme is woven into the poetry. 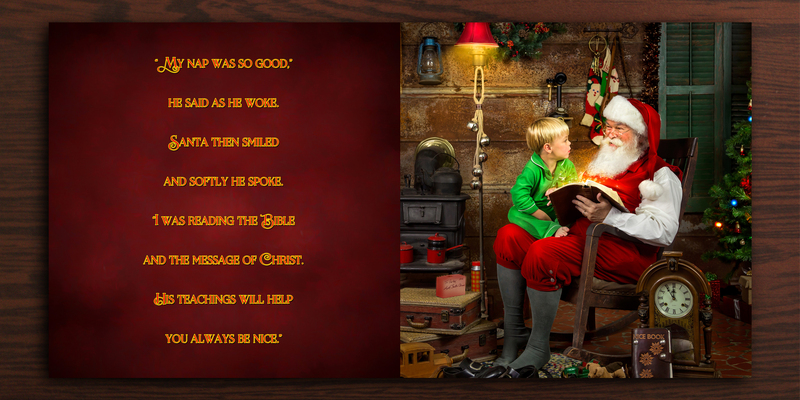 Click here to preview the “Christmas With Santa” story. 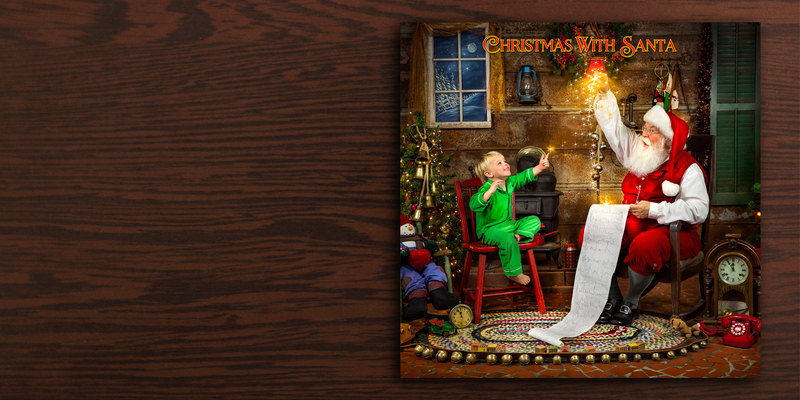 This nostalgic, family oriented book features poetry describing a whimsical and magical story of your child’s dream of visiting Santa on the night before Christmas. 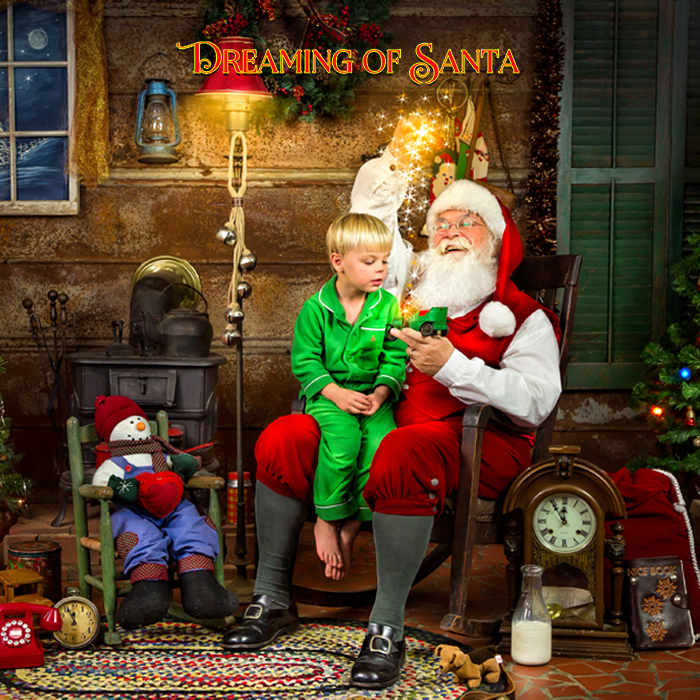 Click here to preview the “Dreaming of Santa” story. Do you want access to the magic? Have questions? There are a few steps that must be completed! 1) Make sure you have an ACI account. If you have one, but can’t remember your customer number, call Customer Service 800.728.2722. New customers can click here to sign-up for an account. 2) Become an Art of Magic and Light® user. See the red box to the right for more information. 3) Create a Stripe account. Everyone using the magic options must have a Stripe account set up to use with EventProofs. 4) Login to EventProofs.com with your ACI information. Drop us a line or call our design team at 800.728.2722 to have exclusive access to Larry Hersberger’s Art of Magic and Light® at ACI! All of the magic effects, poetry, and backgrounds are licensed and exclusively the property of Larry Hersberger. In addition, American Color Imaging has the exclusive printing rights to the Art of Magic and Light®. What is the Art of Magic and Light® user agreement with ACI? 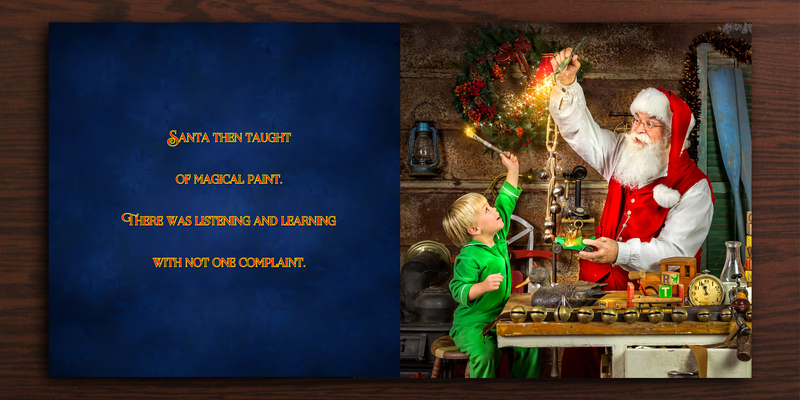 By using Larry Hersberger’s Art of Magic and Light® service from ACI, you agree that the magic effects, poetry, and backgrounds are licensed and exclusively the property of Larry Hersberger. In addition, American Color Imaging has the exclusive printing rights to the Art of Magic and Light and I agree to utilize American Color Imaging as my print provider. The magic and design process/online system (through EventProofs and Design Studio) will be $100 for your images and includes recommended magic artwork, color correction, gallery upload, and album design along with one free round of revisions. Subsequent revisions will be charged at $15 each. Additional magic to be added will be billed at our standard price of $60 per hour. 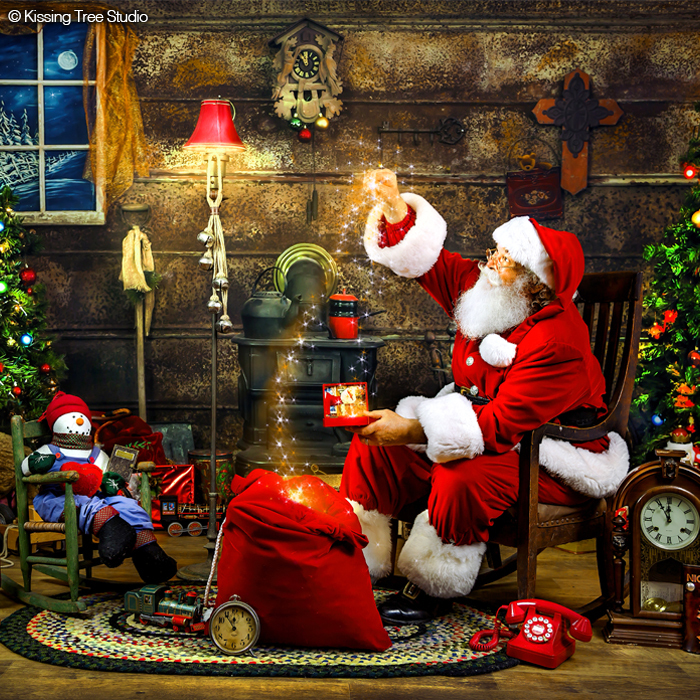 The images will be placed in a special Santa section of our Design Studio software and preview software tailored in product and process to Larry Hersberger’s specifications. After $100 in additional product has been ordered, to meet the $200 minimum purchase of Art of Magic and Light® services at ACI, the high-resolution magic files will be available for download. Why do I need to have a STRIPE account? The EventProofs webhosting software uses STRIPE to process your payments from your customers when they purchase products from you that are produced at ACI. It is has an easy FREE set-up, low transaction fees, funds are transferred to your bank account, and allows you to send a test to confirm that the funds are being transferred correctly. Why do I need to set up a Art of Magic and Light® price list in EventProofs? ACI needs you to set up a specific price list in order to be able to post a gallery of your finished magical images on your EventProofs account. Without that specific price list, we wouldn’t be able to post anything, as you have not specified the prints and pricing that you want to offer to your customer. By setting up this price list, you are determining the prices that will be charged to your customer when they place their order. 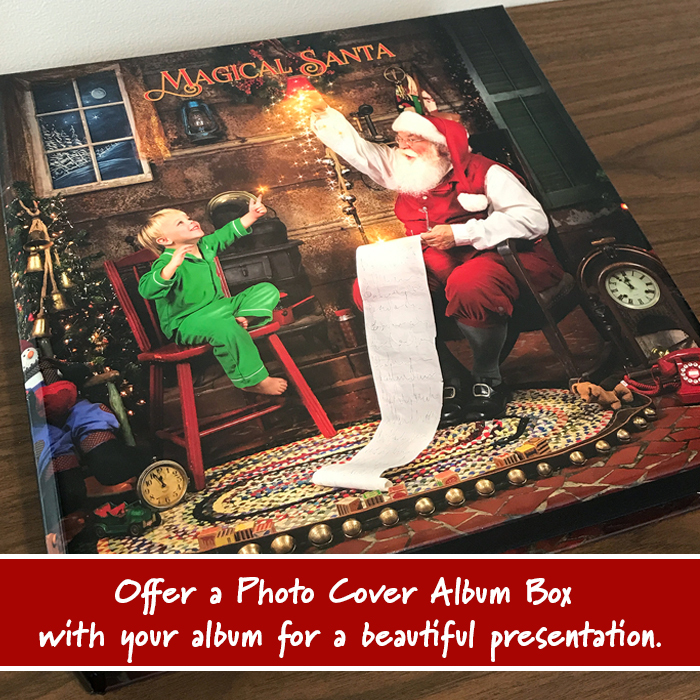 Once you have that Art of Magic and Light® price list set up you can add any Image Options (retouching) or Print Options (Framing or Mounting) to offer as well. You can also always go back in and make adjustments to the Art of Magic and Light® price list if that is needed. How can I reach the $200 minimum requirement for the Art of Magic and Light® services and product at ACI? 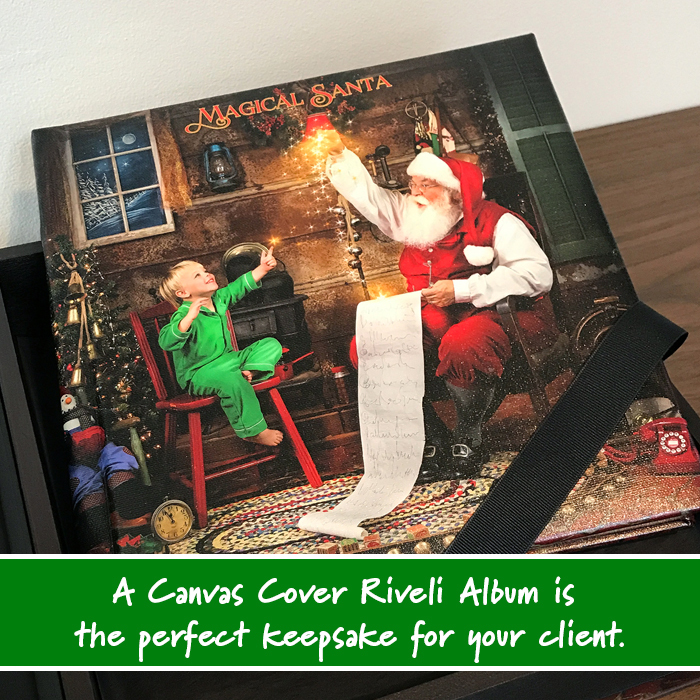 If you choose “Album Design with Magical Artwork” option, the $100 design fee which includes the recommended magic artwork to your images, color correction, gallery upload, and album design along with one free round of revisions, PLUS the purchase of a Riveli album would put you over the $200 minimum requirement of Art of Magic and Light® service and product from ACI. If you choose “Magical Artwork” for images only option, there will be a $10 per image charge, which includes recommended magic artwork, color correction, and gallery upload. The high-resolution magic files will be available for download after the $200 minimum purchase of Art of Magic and Light® services and product at ACI is met. To meet the requirement in this situation, you will need to make up the difference in product purchase from ACI. For example, if you upload 6 images for magic artwork, that is a total of $60 in artwork and you will need to purchase $140 in product to meet the minimum. I don’t want a Riveli album, can I get the magical artwork on individual images only? YES! You still have to go through the “Request an Album Design” section of EventProofs, and after you name the “album design”, there will be an option under the “Design Content” question for “Album Design with Magical Artwork” or “Magical Artwork”. Here you would select “Magical Artwork” to have the artwork done without an album design. For magical artwork on images only, there will be a $10 per image charge, which includes recommended magic artwork, color correction, and gallery upload. The high-resolution magic files will be available for download after the $200 minimum purchase of Art of Magic and Light® services and product at ACI is met. How can I use the ProSelect software mentioned in Larry’s classes if I do not have the magical files? ACI can provide low-resolution .JPG’s of your magical images for you to utilize in the ProSelect software after your gallery has been posted to EventProofs. All sales will be made through EventProofs until the $200 minimum purchase of Art of Magic and Light® services and product at ACI is met. To access these low-res files, you will have the ability to right-click on the images in the gallery once it is posted. NOTE: Your cost of the magical artwork does go toward the $200 minimum purchase of Art of Magic and Light® services and product at ACI. After this minimum is met, you can continue to sell through EventProofs, or order through the MyACI software. We are currently working on additional videos about how to use the Art of Magic and Light® services at ACI. Please continue to check back.